Today is the 1st of February. When I started writing this post about a month ago, I thought that it was going to be a bit funny at first. I had some photos of myself that are a bit embarrassing for me. I’m still feeling the effects of my knee surgery so things are still a bit harder than usual but I’ve spent the last month pushing myself harder than I ever have in the past, I have trained 27 of the last 31 days; of the 27 days I trained twice a day for 20 of those! I’ve also been seeing a dietician and have been going to bed early so that I can get up for my early morning hangboard session every morning. So what was it that actually brought about this radical change in my attitude and behaviour? What brought about this month of pure masochism? It was the time I spent overseas and then the month of December which certainly didn’t help. Before our trip, I was really good about not eating too much, even in Germany I didn’t gain weight. Unfortunately for me, we went to Austria and there were 6 course meals every night, massive buffets for lunch and for breakfast, plus I couldn’t exercise so it was all a big problem. When we got back I didn’t think too much about the matter, I wasn’t training yet so wasn’t worried. The worries started towards the end of November and the middle of December when I started trying to do a bit of training again. 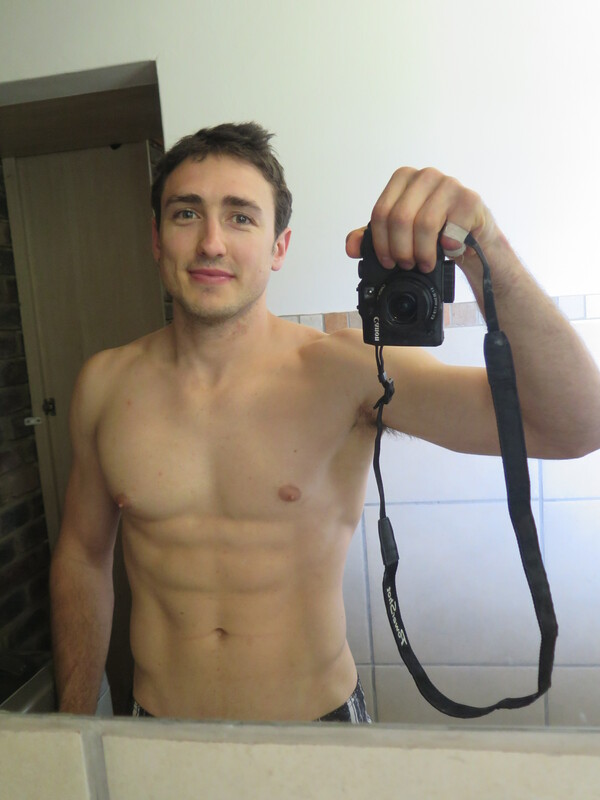 At that stage I’d picked up a few kgs but it didn’t quite stop there… At my worst I was 76kgs, up from my normal 69. That’s a 10% increase in just a few weeks as I was 70 when I left for Germany. As a New Year resolution thing, I decided to take on some serious training. 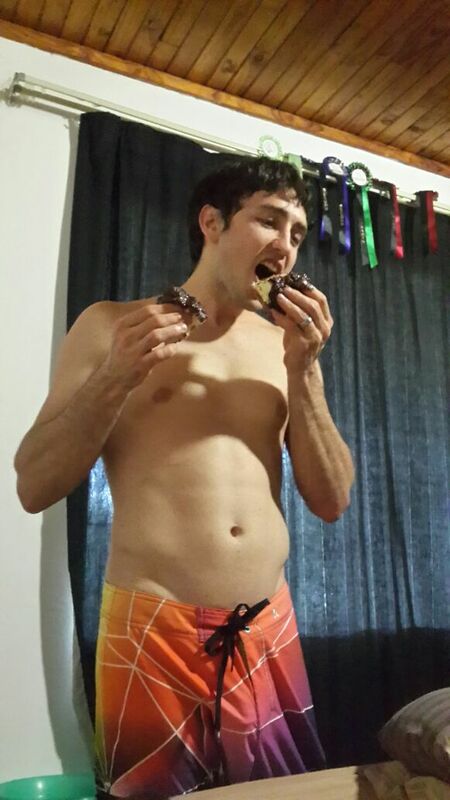 I also decided to focus on my nutrition because all the training in the world won’t help if you eat crappy food. Drinking lots of wine doesn’t help either so I’m definitely going to take it easy on that too, even though we have some one the Cape’s best one the rack! 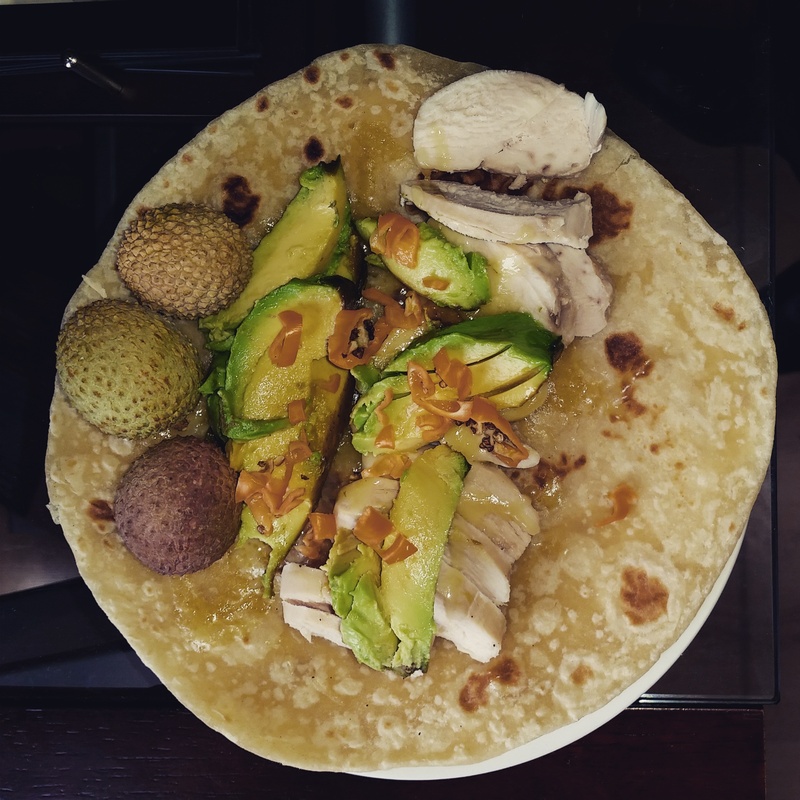 I’ve been focusing on eating every hour or two. 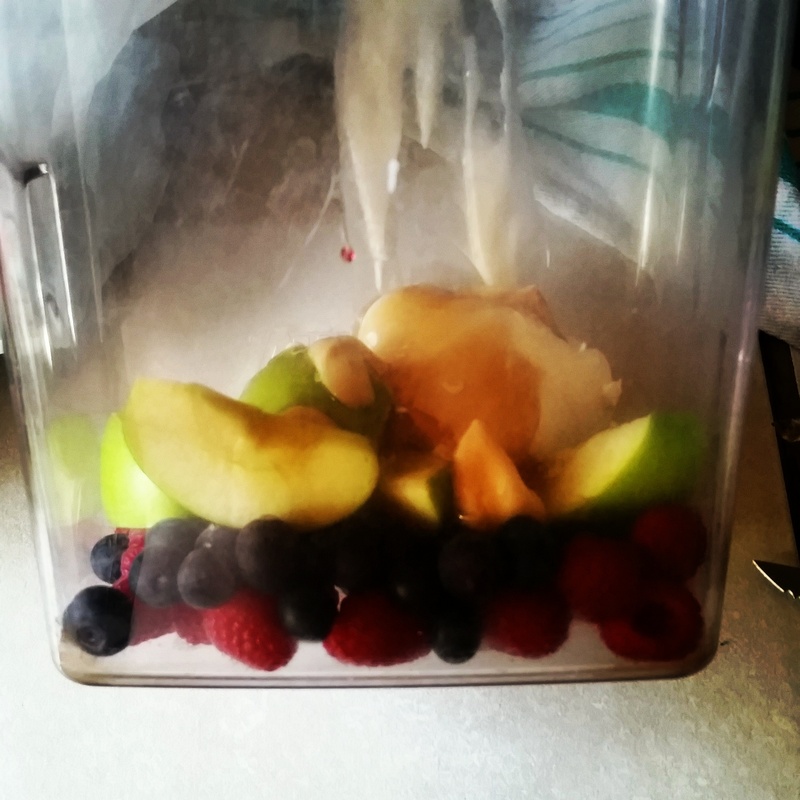 For breakfast around 6:45 I’ll frequently have two pieces of fruit before training. Immediately after training a 50g serving of Future Life High Protein, or muesli with yogurt and cottage cheese. I’ll train till around 8:15 / 8:45 depending on the intensity of my session. Then at 11:30 a carrot or an apple. Around 1 o’clock I’ll have a meal: a serving of protein, a cup of steamed veggies and 1/3 a cup of rice, or 3 Provita crackers. During the afternoon I’ll munch on another 2 carrots, apples, plums or whatever I have available. Somewhere in the mix will be a handful of almonds and cashews. By 5 or 6 o’clock I’m usually at the gym. 7:30 I cook dinner. Usually I’ll steam veggies and either chicken or fish, sometimes a pork fillet, and 2/3 a cup of rice or sweet potatoes. Yep, that’s a pretty typical day for me. I came across an article on climbhealthy.com indicating that in a study conducted in the USA, it was determined that athletes recovered 26% more effectively during the night if they ingested protein 30 minutes before bed time. So sometimes I’ll have a protein shake right before bed if I’m worried I’ll be really stiff the next morning. 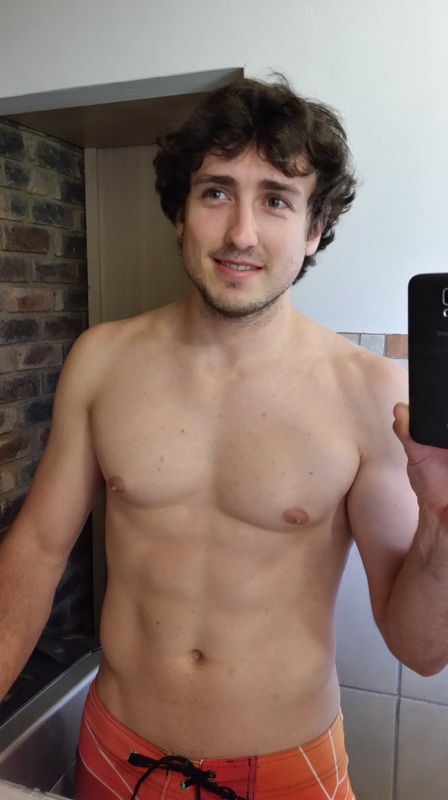 73.5 kgs on the 11th of Jan, looking better. 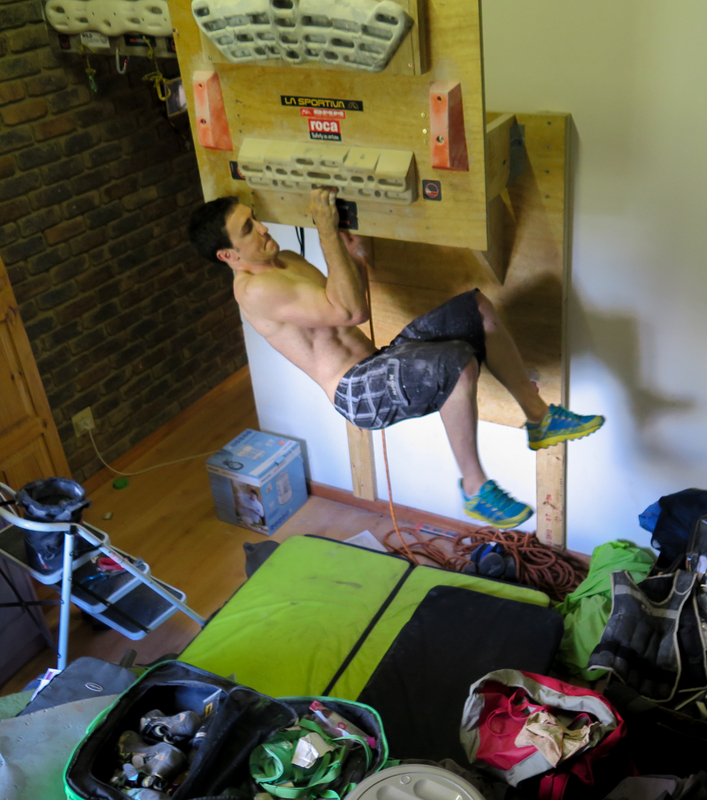 I started writing this about a week into my mixed gym and hangboarding sessions. My hangboard sessions are in the morning, usually before work, so they have to be quite short. Kris Hampton has the solution for this in his Bare Naked Hangboarding. From start to finish in 30 minutes. But this wasn’t enough for me seeing as it was doing the same exercise daily, so I have added a variation to it by alternating it with the Chris Webb Parsons program that I spoke about previously. Here’s an instruction vid for the twelve week program: http://www.vimeo.com/61430224 The advantage of alternating these is that I can focus a significant amount of effort on finger strength one day (Hampton) and a significant amount of effort on one arm strength the next day (Webb Parsons). I’ve been doing High Intensity Interval Training (HIIT). It was suggested to me by a personal trainer that I follow on Twitter. 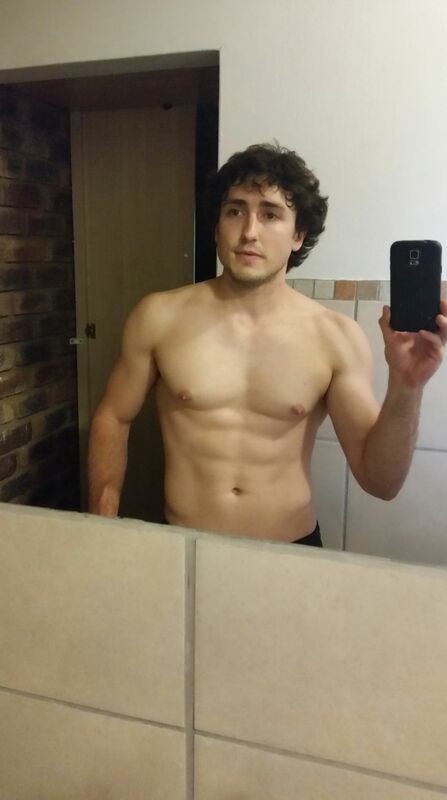 His name is Alexander Pawels, he’s based in Belgium and he’s got some good ideas for heavy fitness training. 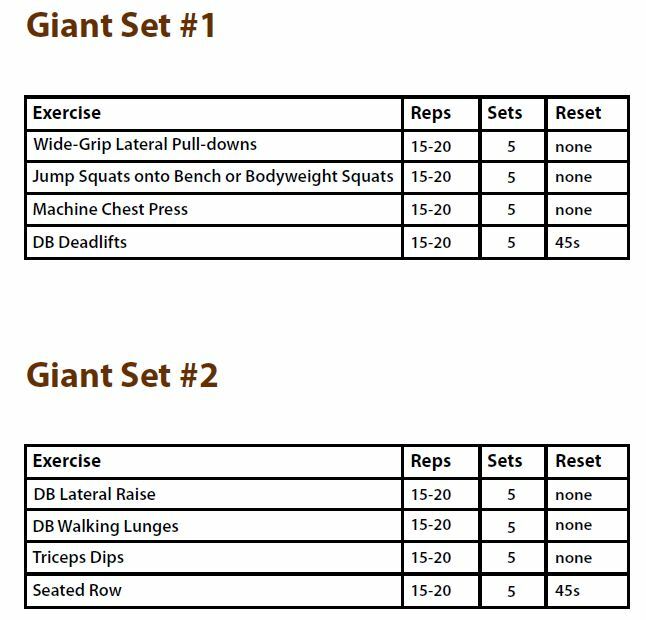 There are a few different exercises but each of them revolve around Giant Sets, which is essentially four complimentary exercises back-to-back consisting of 15-20 reps each. After you complete your 80 reps you take a 45 second break and then start again until you’ve done 5 sets. 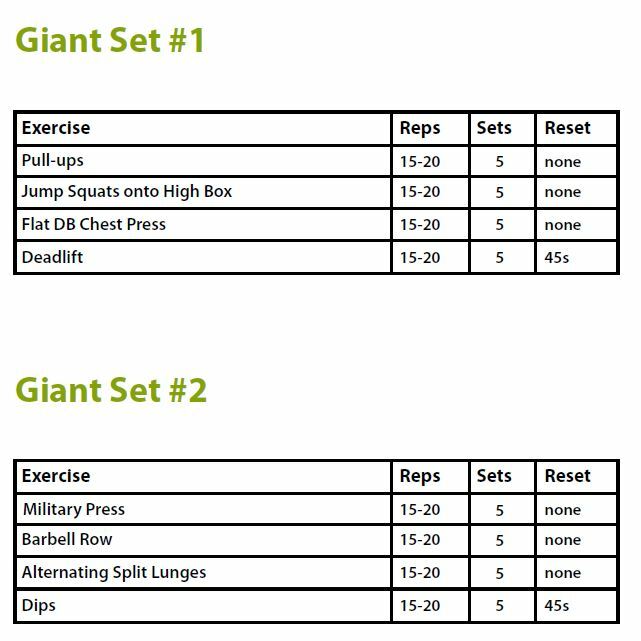 There are two Giant Sets per workout and for me it takes about 45 minutes to complete. The weights are pretty heavy, the goal is that you can easily complete 15 but struggle to reach 20. I usually start a HIIT session after 25-30 minutes of cardio, either rowing or cycling or both, that way I feel warmed up and my heart is racing. I tend to keep my heart rate above 150 for the whole session, it’s not easy, on the contrary it’s actually outright exhausting. After getting the Moon Hangboard, at first I couldn’t even hang the micros for a second, three weeks later I’m up to 5 seconds! I love seeing progression as I improve. I would say that my absolute benchmark is Paul Brouard’s program C which involves 3 minutes of non-stop repeaters (6 grips per minute, straight arms 1st minute, 1/2 lock second minute, full lock 3rd minute, followed by 10 pull-ups on a small edge in the first 30 seconds of the forth minute. Rest 10 minutes, repeat for 5 sets). I’m really looking forward to moving into my power-endurance phase when I can work with that one!! But for now, I’ve been working on lock-off strength and on pure finger strength to prepare me for what lies ahead. I did a little experiment yesterday and did a 30 minute hangboard program with an exercise every minute on the minute. I was really surprised when I annihilated it! There were some momentS of definite pump, but I got through it just fine and continued to do a lot more than just that. Here is my training log in case anyone is interested, it’s quite rough.The past three weeks have really been tough and I’m loving it, I even met with a dietitian on Thursday the 15th to help with the designing of an eating plan that can match my goals. My strength is going up and my weight is coming down slowly, the way it should. It’s always a rewarding feeling to do exercises that were your benchmark in the past, I’m sure we all have a route or exercise that when we can do it well we know we’re fit. During my strength training session, I’ve noticed my ability to hold smaller holds for longer periods. It’s been really reassuring knowing that I’m doing something right. 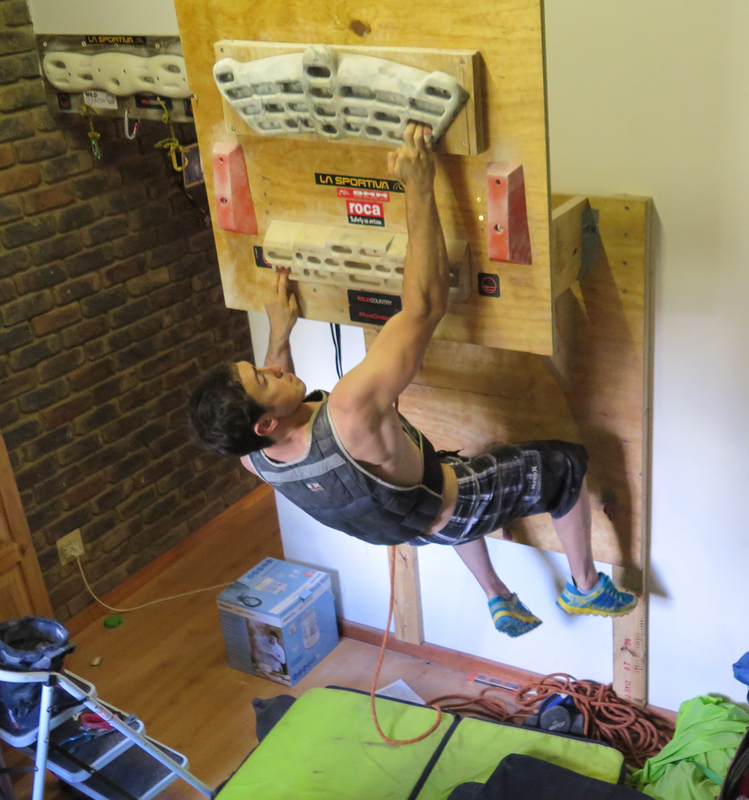 It feels great to hang a crimp with 35kgs extra weight for 10 seconds at a time and not fail. It also feels great to be able to hang on some of the small edges on the Moon Climbing Finger Board I got for Christmas. The 18th was 2.5 hours of hangboarding and 2 hours of cycling and HIIT training at the gym, basically till the point of exhaustion. Probably will need a rest day after this weekend. Three weeks of training is a good place to start… My goal is to train on my board till I’m cleared to climb outdoors again. 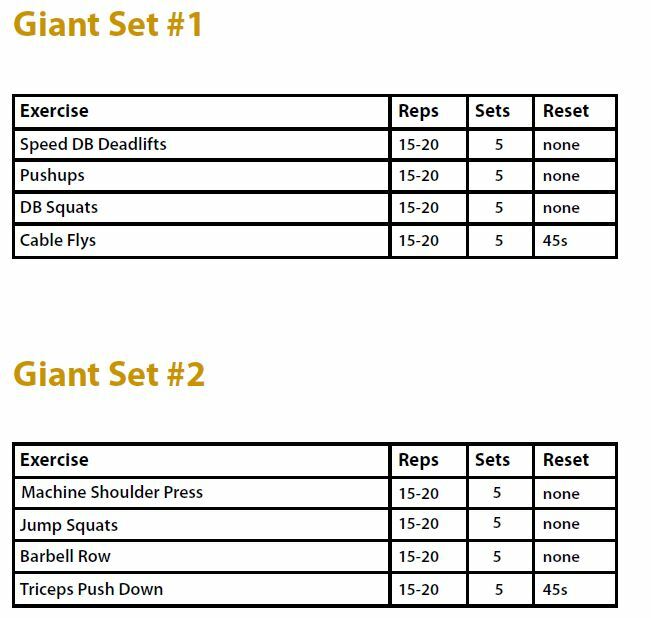 After I finish my strength phase (8 weeks), then I’ll move to my power endurance phase (6 weeks) and follow it all up with a month of pure endurance training. Once it’s all done I’ll start over and build on my pyramid! 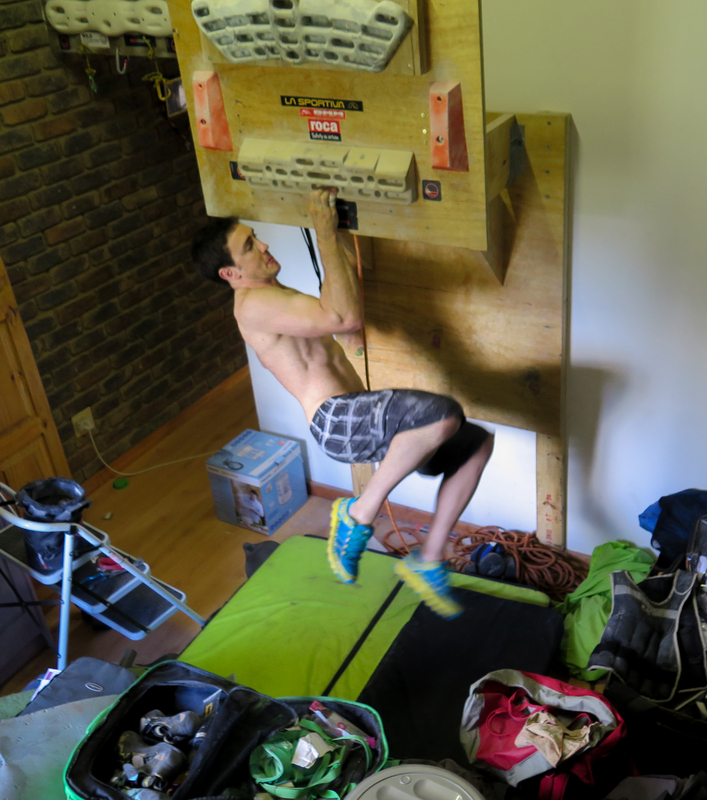 Hopefully my body will be ready for a good winter climbing season at Chosspile and Boven! Wish me luck . 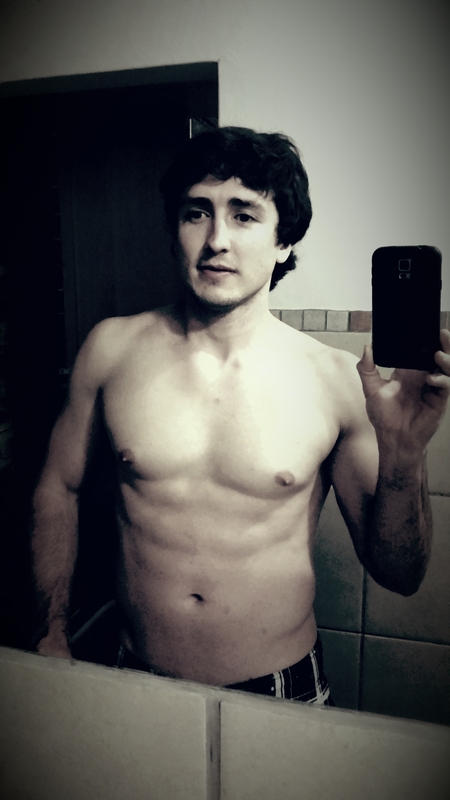 70 kgs and feeling strong! Smiling during a training session, something must be up… Maybe it’s the photographer, I bet she’s doing something funny! Well, we’re back to where we started: today is the 1st of Feb. During the last two weeks, I’ve been pushing really hard trying to isolate my fingers and push my body even further than ever before. I started to plateau a little with the Kris Hampton program, I think it’s because I don’t have small enough holds on my boards other than the micros and tiny slopers on the Moon Hangboard. So what I did was listen to my friends and start focusing on a single hand (still with 10kgs) while the other hands assists as either a F2 or B3 on the smallest edge available. It’s also slightly offset, rather than being on the same height. So in a way, I’m doubling up on my exercise. I’m also able to hang both the Micros and sloping crimps on the Moon Hangboard for over 10 seconds now. Big progress there in just a month. What also happened, which was a first for me, was I had to change to a different hold for the Chris Webb Parsons program. I moved away from the outer slots on the Beastmaker and now I’m using the center incut (as in the below pics). My finger strength has moved forward significantly and my lock-off strength is catching up I’m getting closer to the elusive one arm. As of today, I can go from straight arm to eyes in line with my hand (not quite 100% there but close). 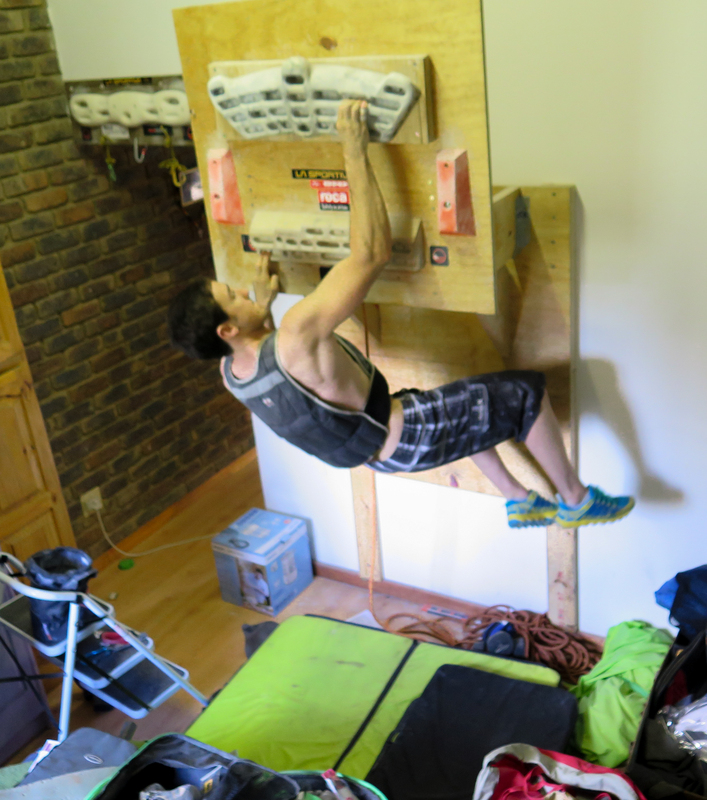 Improvements on that lock-off and finger strength! Last week I also started seeing a biokineticist, so I’ve been doing a lot of exercises daily to strengthen my leg and my glutes. I can see that it’s going to be a long road ahead in terms of the recovery process but by the time my knee is ready to come to the party I’ll be fit enough and strong enough to jump back in! 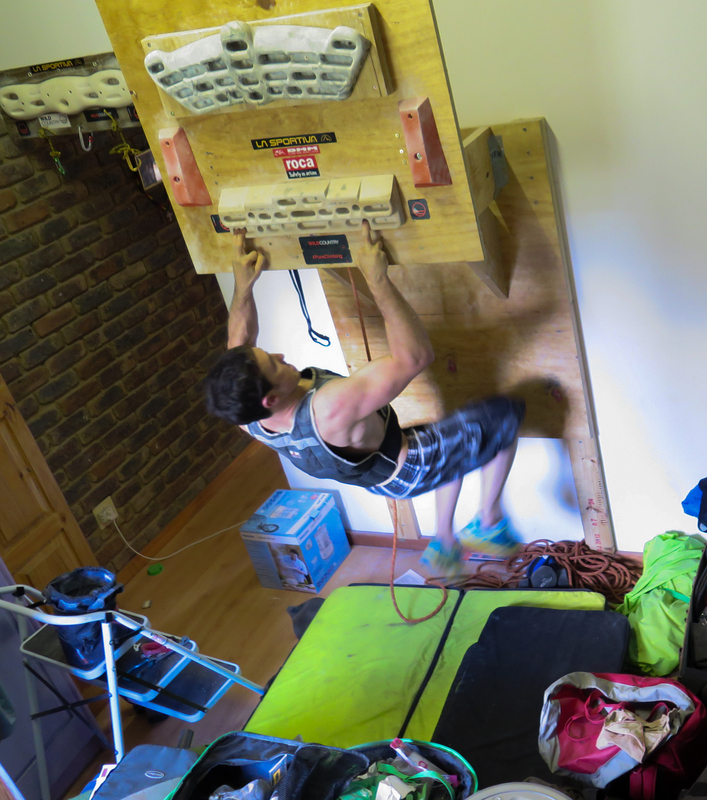 All in all, I’ve been splitting my time between my boards at home and training in the gym. Over the last month I’ve bouldered 5 times, done 25 hangboard session, 16 gym sessions and had no alcohol. I’ve eaten 1.75 pizzas and had sushi twice, other than that I’ve controlled what I eat. I haven’t been to bed after 12 this month. Anyone want to challenge my dedication? Here’s the training program again in case you missed the link. I call it Brian’s Training Program for Strength and Power. I would like to thank Paul Brouard, Steven Bradshaw, Kris Peters, Kris Hampton and Chris Webb Parsons for the psych that was produced as well as the programs that I used to build my workout. It’ll keep expanding as I progress and I’ll update the link from month to month.